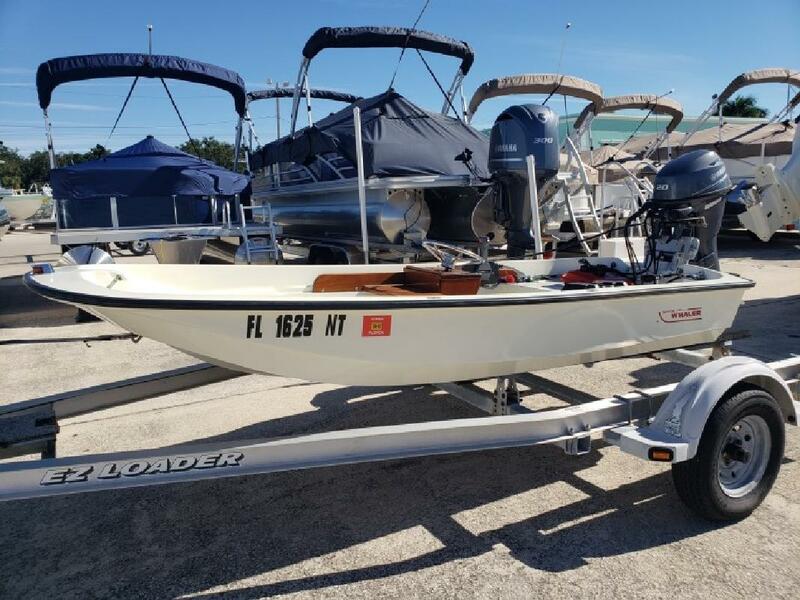 1983 Boston Whaler. Yamaha F20LPA. Super Clean. Jack Plate. Teak Wood. Off-Set Helm. Financing Available. We accept trades. Call us or click on one of the 'Buyers Tools' to get more info. Every New and Used boat is put through a series of checks and inspections and to prepare your boat for the water is a crucial step in insuring that you will enjoy your new purchase to the fullest. Information is subject to errors and changes without notice.